We interrupt our usual Sunday programming (of a sit-still-and-just-look photograph from one of our awesome contributors), to let you know about an initiative taking place tomorrow at Ullus Community Complex from 12:30pm to 4pm. It’s a brainstorm, designed for all parents, students, educators, administrators or community members who are interested in unleashing the full potential of our schools to foster wellbeing in kids. Simply by living in this school district, you are able to be a part of a process that is unfolding across the province, and nation, to help inject “everyday practices” (not programs or projects) into the life of a school, to make it a healthier place – physically and psychologically – in which kids can flourish. 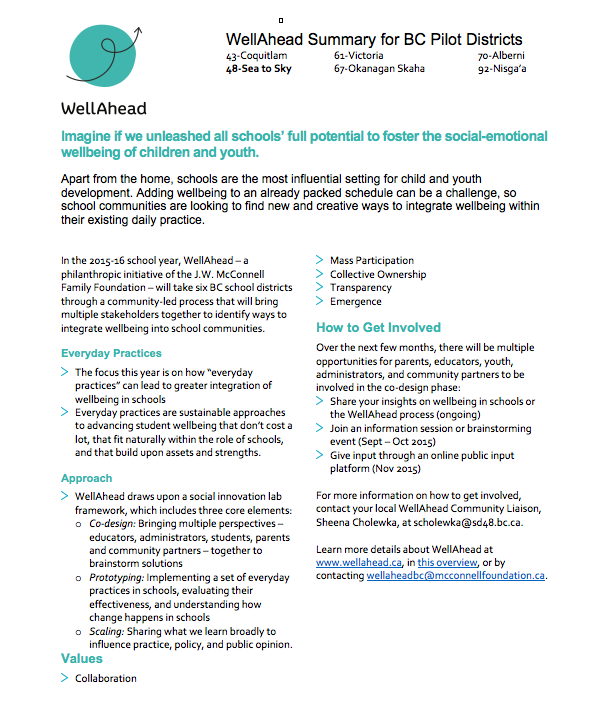 At the official launch for WellAhead in September, Promoting Mental Wellness in BC School Communities, participants brainstormed a ton of “everyday practices” – from daily check-ins, greeting every student who walked through the door, or random acts of kindness, nature walks or cooking sessions, to create a culture of wellbeing. Because adding wellbeing to an already packed schedule can be a challenge, school communities are looking to find new and creative ways to integrate wellbeing within their existing daily practice. Everyday practices are sustainable ways to advance student wellbeing – that don’t cost a lot and that fit naturally within the role of schools. 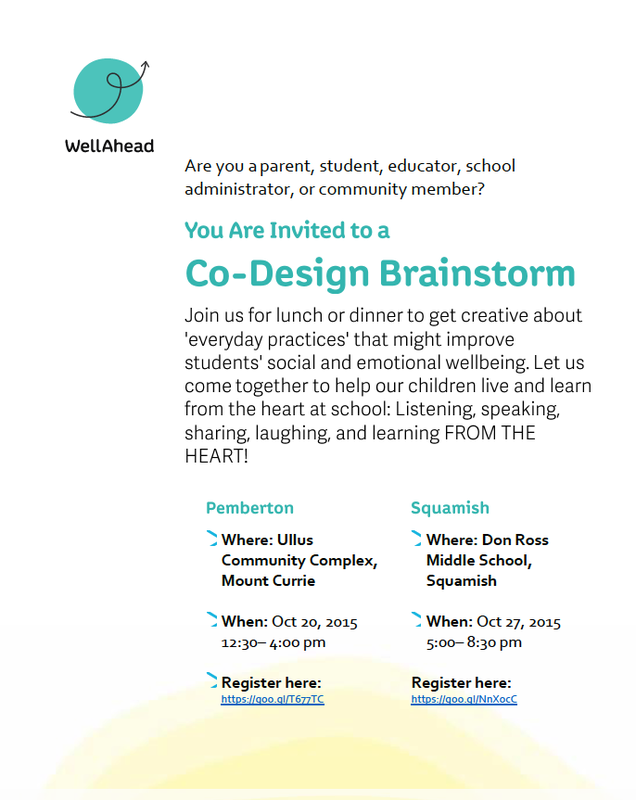 For more information on how to get involved, contact your local WellAhead Community Liaison, Sheena Cholewka, at scholewka@sd48.bc.ca. Learn more details about WellAhead at www.wellahead.ca, in this overview, or by contacting wellaheadbc@mcconnellfoundation.ca.